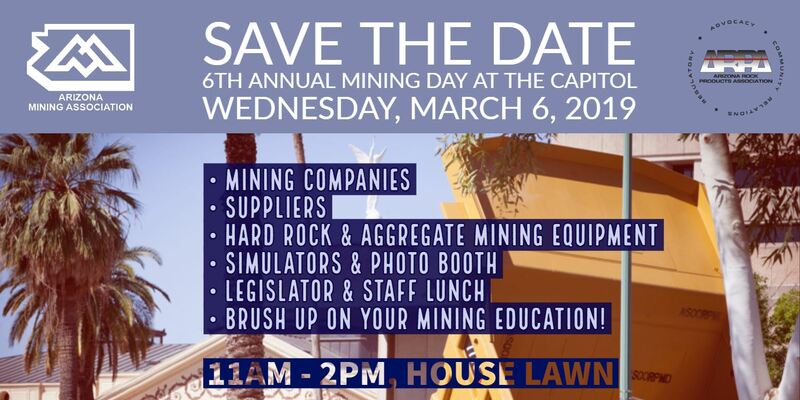 The Arizona Mining Association (AMA) along the Arizona Rock Products Association (ARPA) are hosting the 6th Annual Mining Day at the Capitol. This event is an outstanding opportunity to network with legislatures, agency leadership, and mining member personnel. Participants of the event will learn more about mining’s positive impact on our great state and more! Please contact terrie@azmining.org to register for lunch.